Posted by Katy Foley on July 18, 2018 at 12:28 PM. Filed under Smart Home, How To, Around the Home, Q&A . How do I set up my timer? You're out of the gate and off to a great start with this quick start video. Watch these step by step instructions on how to set up your timer's current time in this video. This GE timer works with lamps, seasonal lights, small appliances and electronics, saving you time and hassle while putting energy dollars back into your pocket without any effort. With features that include multiple on/off settings, a seven-day programing, a Daylight Saving Time setting that adjusts automatically when there is a time change in your area and even a vacation setting that varies the times your home lighting comes on and off for added security, this GE digital timer does its job in lending a hand to make life easier. For more instruction and other parts to this video, visit Jasco's YouTube channel. How do I program custom scenes for a 7-day timer? This video explains how to program a specific 7-day schedule for custom lighting schedules that you want to work with your day-to-day routines. If you want your lighting to stay on longer on the weekends than you do during the week, use this video guide to set custom on and off times to suit your lighting needs and save you money during the times you don't need your lights turned on. For more instruction and other parts to this video, visit Jasco's YouTube channel. How do I control my lighting with an outdoor timer? You can now quit your part time job managing your patio, deck, landscape and seasonal lighting outside your home. This video breaks down how to program your lighting settings down to the exact minute. Outdoor entertaining and security is made easy with automated lighting outside your home. Whether you're using your outdoor timer to schedule security lighting at night, automate your cafe lighting, or program landscape lights to automatically turn on for perfect accent lighting around your flowerbed every evening, this outdoor digital timer can serve all your needs in one place with a simple touch. You can find more video overviews on Jasco's YouTube channel. How do I install an in-wall timer? 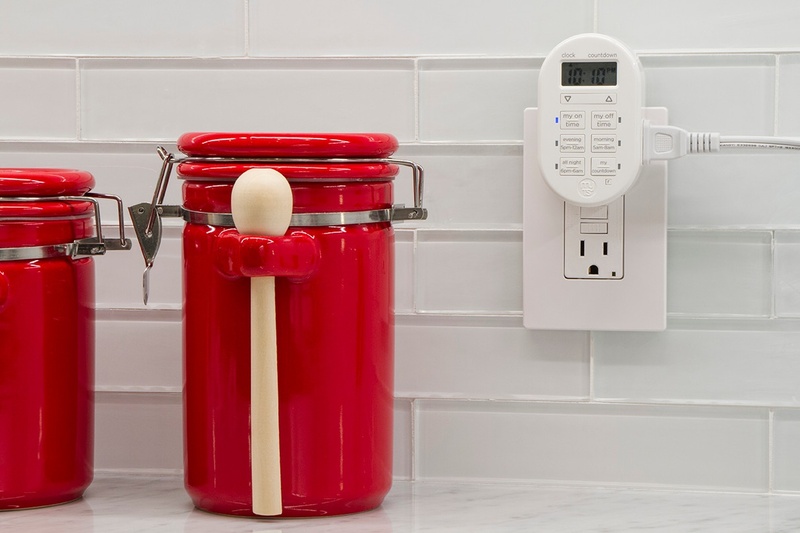 If you choose to forgo the plug-in timer option and get an in-wall timer, this video on installation will come in handy. This video breaks down the components of the timer and walks you through how to hardwire the timer into the wall. Once your installation is complete, let your in-wall timer take over from there with simple preset options or customized times to control and automate your indoor lighting. The need for easy to understand instructions when installing new tech around your home is essential for a successful DIY experience. We hope this video round up of our top how-to videos for digital timers has been a helpful resource for you. Subscribe to Jasco's YouTube channel for more video guides, tutorials and the latest on our products.